This is a high quality mobile DVR using H.264 video compression on all AV channels. It uses SD cards up to 128GB capacity either circulatory or mirror recording (for backup security). 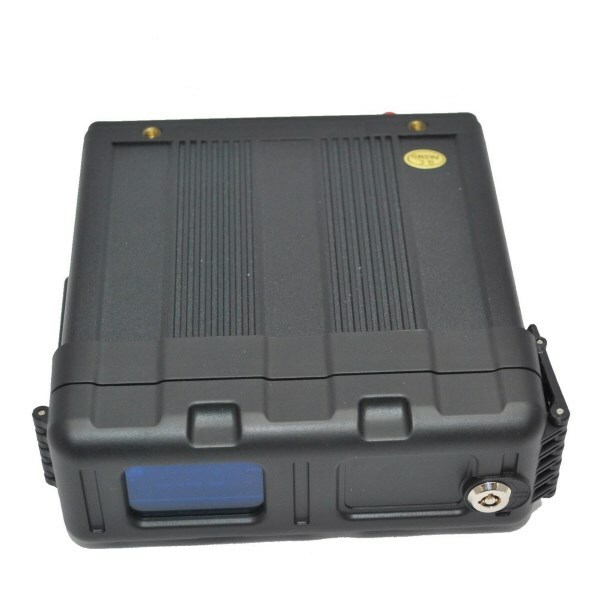 It is waterproof to IP54 which helps in dusty environments. It has optional GPS tracking, anti-vibration design and suitable for 12v or 24v vehicles. It has watermark technology to prevent data tampering and guarantee video authenticity for legal proceedings. One of the inputs is for an AHD camera to get a higher resolution.